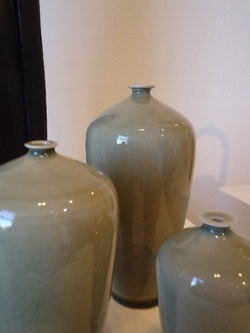 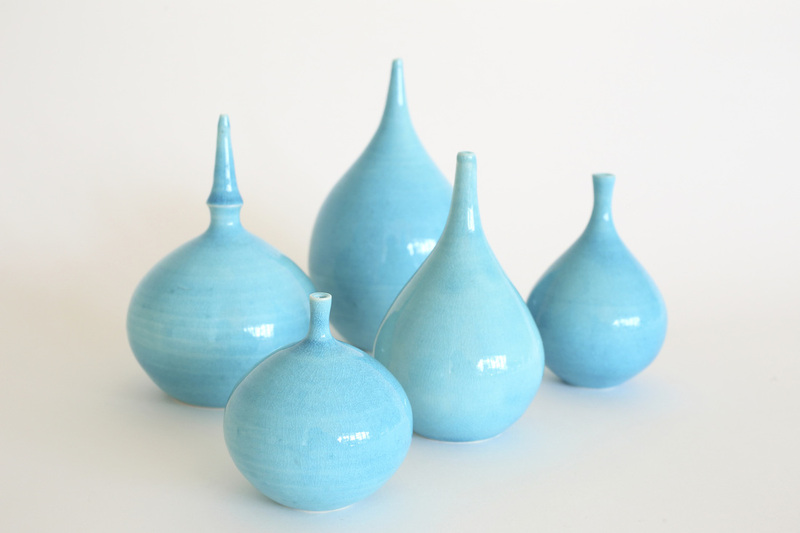 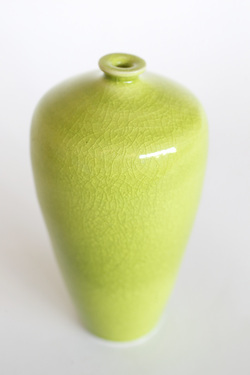 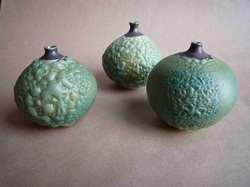 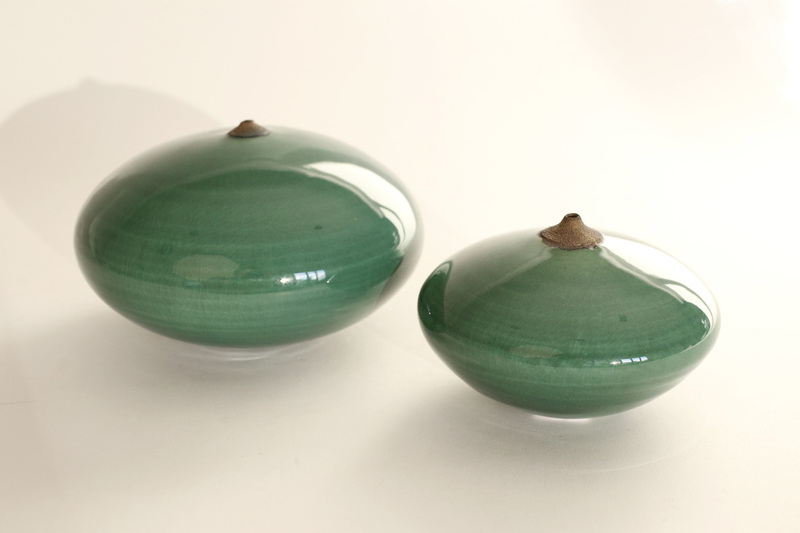 Set of 3 olive green gas-fired bottles. 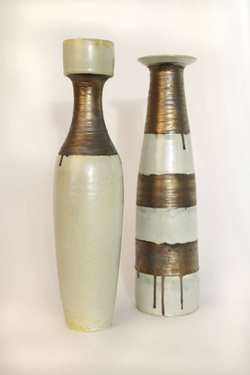 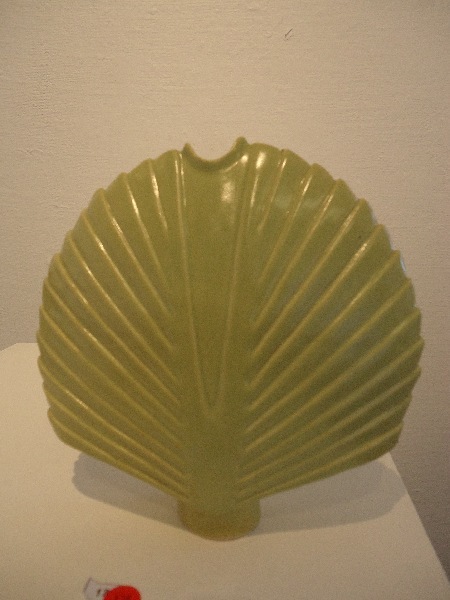 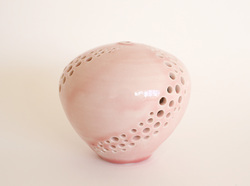 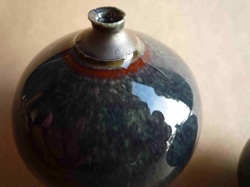 Stoneware 10-18cm. 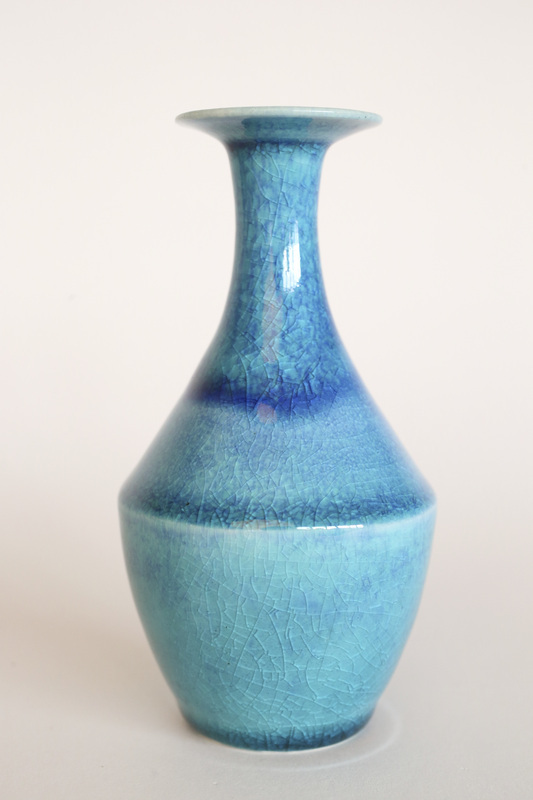 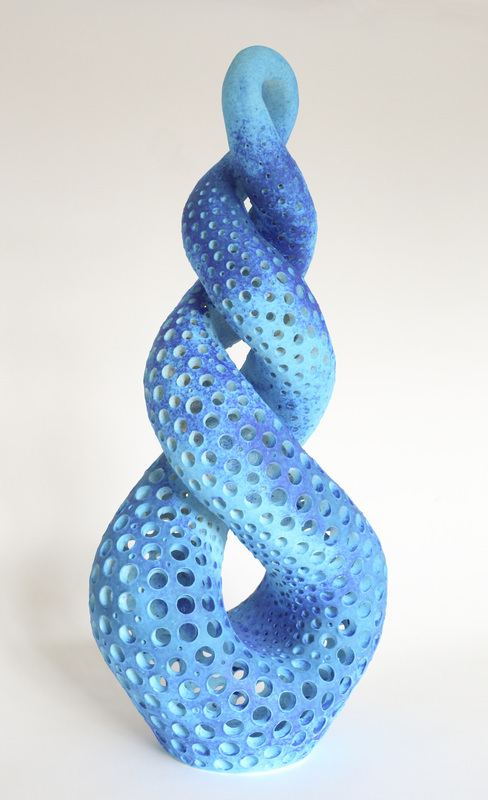 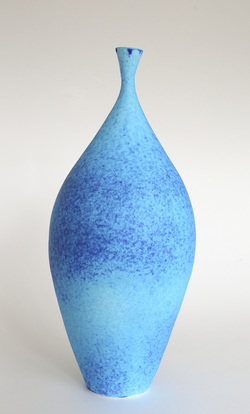 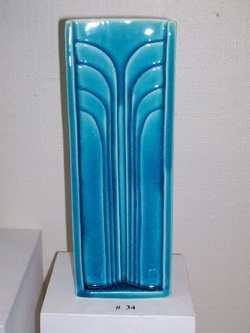 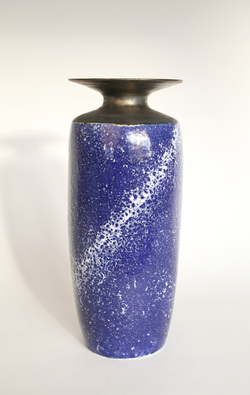 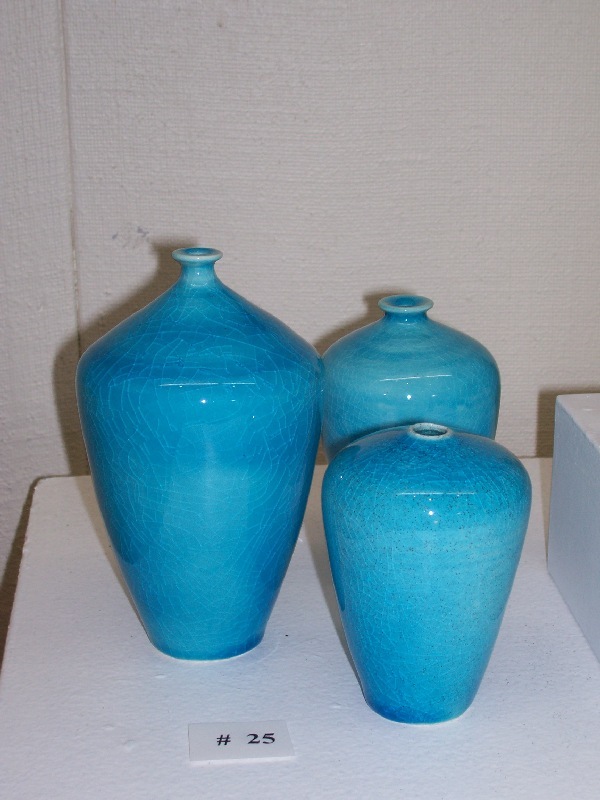 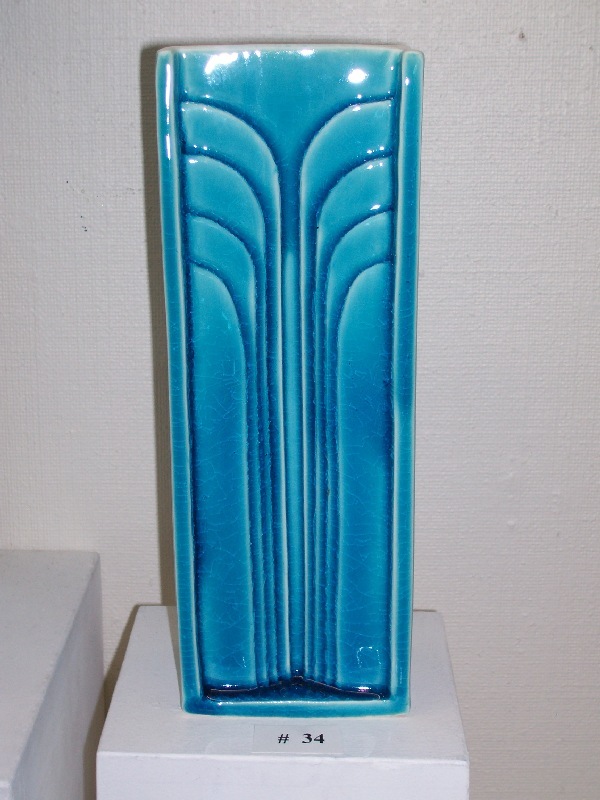 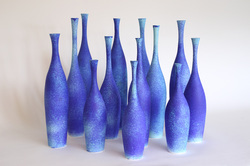 Blue and metallic vase. 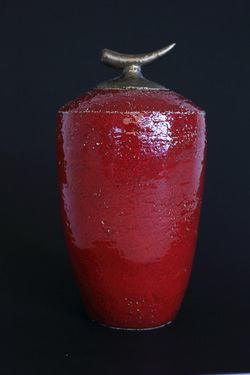 Mid-fire stoneware 30cm. 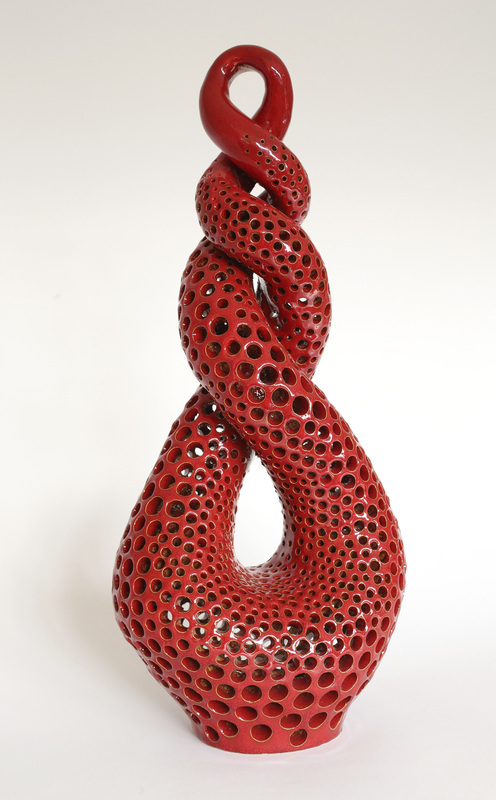 Red spiral sculpture. 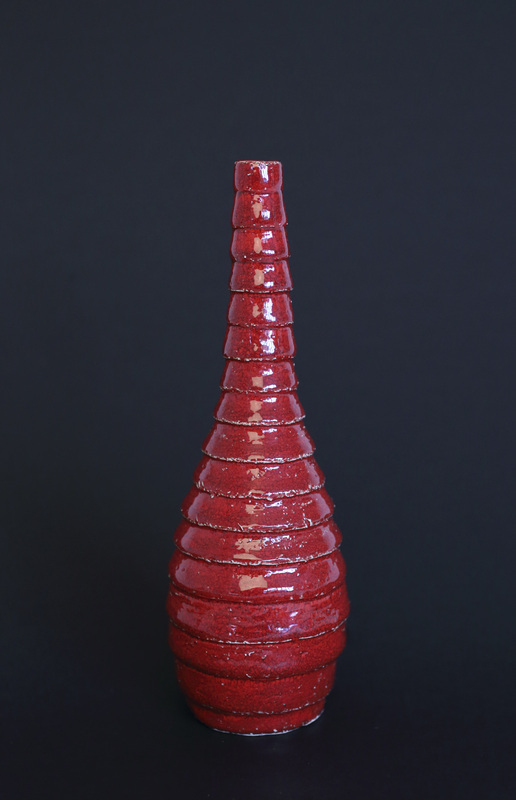 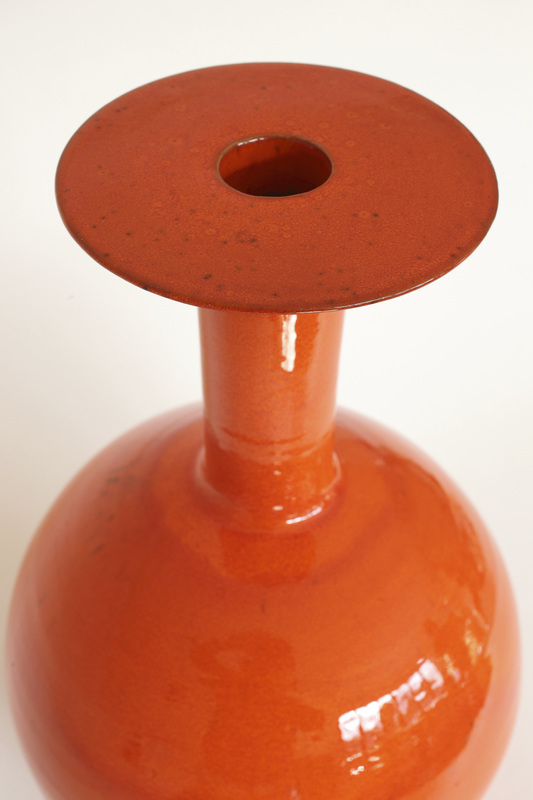 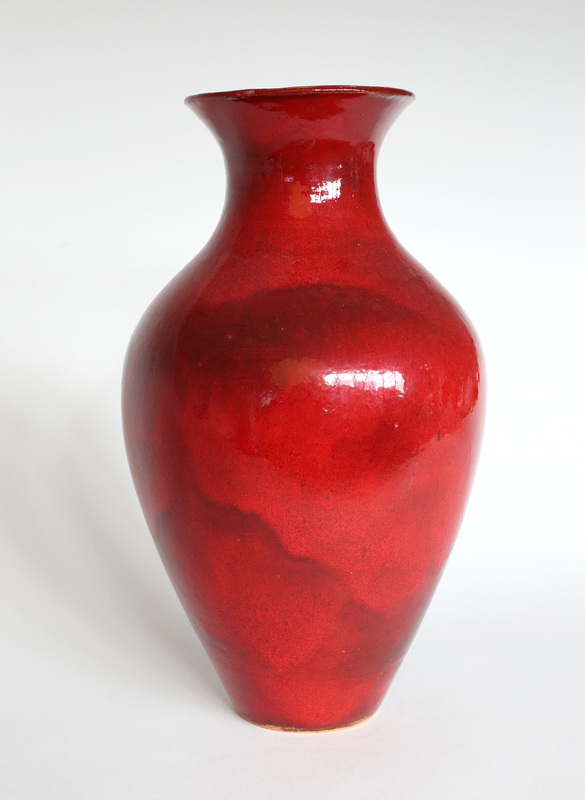 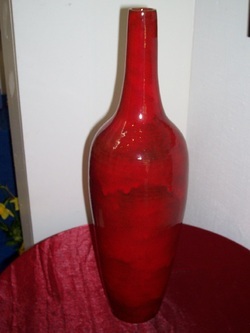 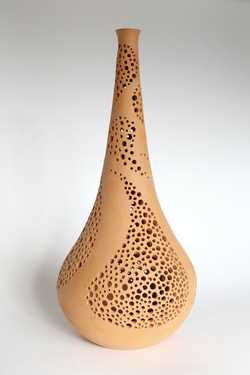 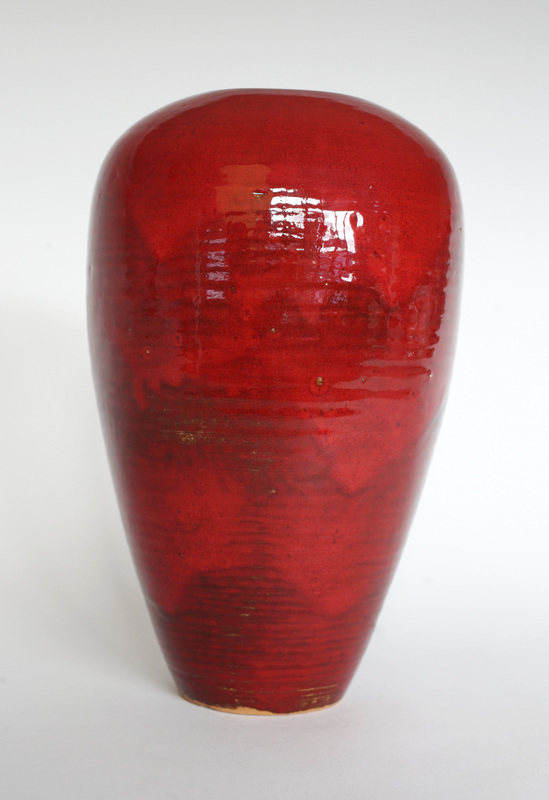 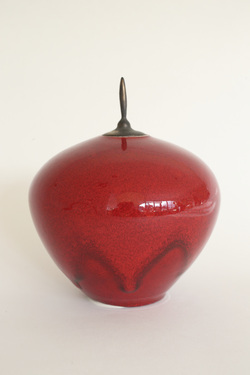 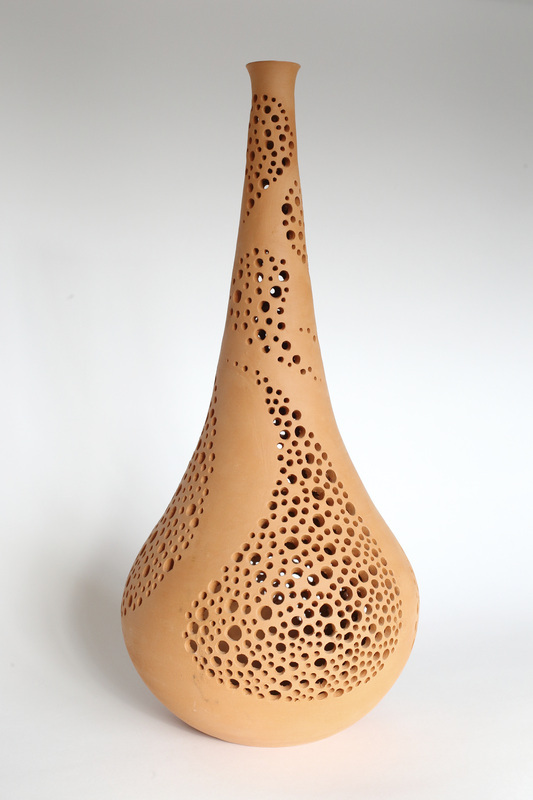 Terracotta 45cm tall.